Dr Vanessa Sammons is a Neurosurgeon at North Shore Private Hospital, Gosford Private Hospital, Brisbane Waters Private Hospital and the Sydney Adventist Hospital treating all neurosurgical conditions, but with a particular interest in Peripheral Nerve Surgery. 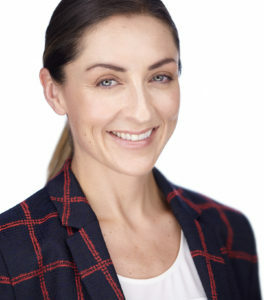 Dr Sammons prides herself on providing personalised and thoughtful patient care and utilising her skills to achieve the best outcome possible. Dr Sammons attended the University of Sydney, graduating with honours, also being awarded the Hinder Memorial Prize for Surgery. Prior to Neurosurgery training, Dr Sammons completed a Master of Philosophy in Advanced Medicine researching brain arteriovenous malformations. Dr Sammons completed her training at several Sydney hospitals including Royal Prince Alfred Hospital, St George Hospital, Prince of Wales Hospital, Liverpool Hospital, Royal North Shore Hospital and Sydney Children’s Hospital. After the award of Fellowship to the Royal Australasian College of Surgeons as a Neurosurgeon, Dr Sammons travelled to Foothills Medical Centre in Calgary, Canada where she undertook subspecialty training in Peripheral Nerve Surgery under the mentorship of Dr Rajiv Midha, a world renowned Peripheral Nerve Surgeon. During training Dr Sammons was the elected trainee representative to the Training Board of the Neurosurgical Society of Australasia. She is a member of the Neurosurgical Society of Australasia, the Women in Surgery Section of the Royal Australasian College of Surgeons, the international Association of Women Surgeons, the American Society of Peripheral Nerve and American Association of Neurological Surgeons. Dr Sammons is also a mother of two.